Asian Box Stocks Rated "Buy"
Some investment analysts think the ocean shipping industry may be reaching the bottom of its downturn and have started recommending Asian shipping stocks. 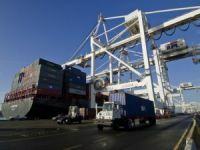 Goldman Sachs upgraded its container ship stance to attractive from neutral, saying the sector is trading at a deep discount, according to Reuters. It raised Evergreen Marine and Wan Hai Lines of Taiwan and Korea's Hanjin Shipping to ?buy? from ?neutral? 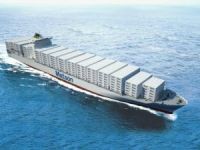 and reiterated its buy for China Shipping Container Lines. "Japan and Korea shipping stocks have also underperformed China's shipping sector even though the industry drivers are global," it said. Goldman also upgraded MOL to buy from neutral. 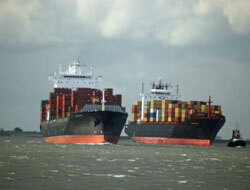 Asian shipping stocks have rebounded in 2009 as investors bet on a recovery. China Cosco, shipper and operator of the world's biggest dry bulk fleet, hit an eight-month intra-day high on Wednesday on the strength of dry bulk shipping rates, and is up about 65 percent this year. 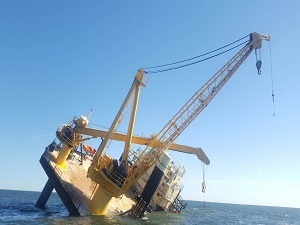 The Baltic Exchange's main sea freight index BDI, which tracks rates carry key resources including iron ore, coal, cement, grain and fertilizer, rose 14 straight days to 2,665 points on Thursday, a fresh year high and four times its December low. 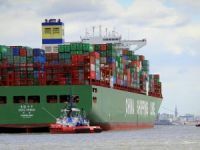 Container ship operators that are now losing money on overcapacity and weak demand have rallied even stronger, with China Shipping Container Lines up 85 and 77 percent this year. Geoffrey Cheng at Daiwa Institute of Research recommended speculative buying of bulk shipping stocks, such as China COSCO and Sinotrans Shipping on China's demand for commodities. 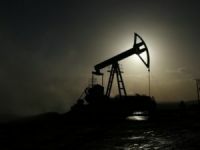 "It seems that traders are continuing to import iron ore, coal and other soft commodities," he said, adding some shipping firms had made huge provisions that brought down their costs. Dry bulk freight rates should rise further at least in the short term with China's $586 billion stimulus package, which will lead to increased infrastructure spending. But other analysts are more skeptical. 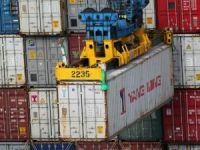 "We are cautious over the shipping sector and we are more cautious about the container shipping," said Maggie Lee, an Invesco director who manages $2.5 billion under the Invesco Asia Infrastructure Fund. "We haven't seen any rebound at all in the furniture and the clothing, so perhaps, it's a bit too early (to buy) based on the U.S. retail sales numbers," Lee said.